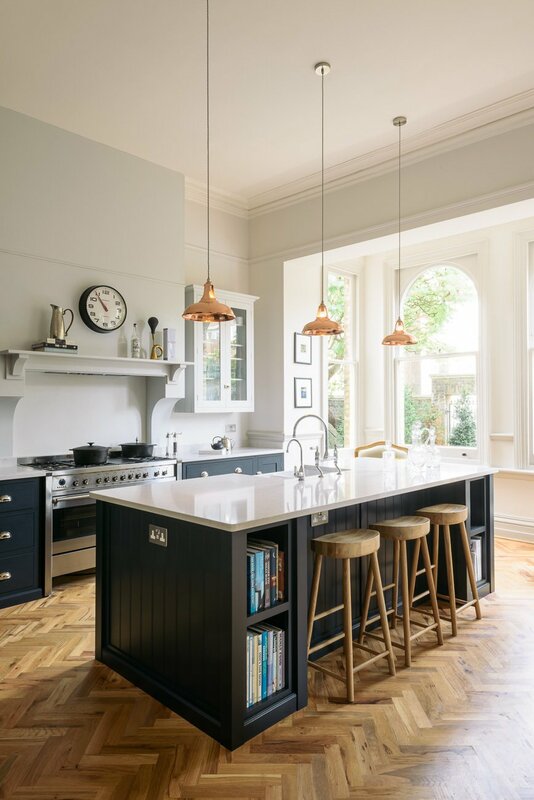 This beautiful shaker kitchen by deVOL Kitchens features our Copper Coolicon Pendants over an island in the middle of the open plan space. 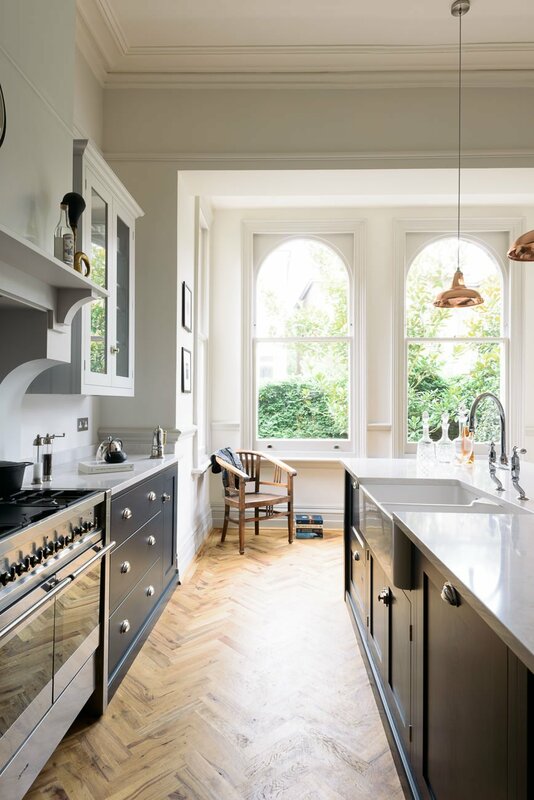 A patchwork of trends makes up this stylish South London home. 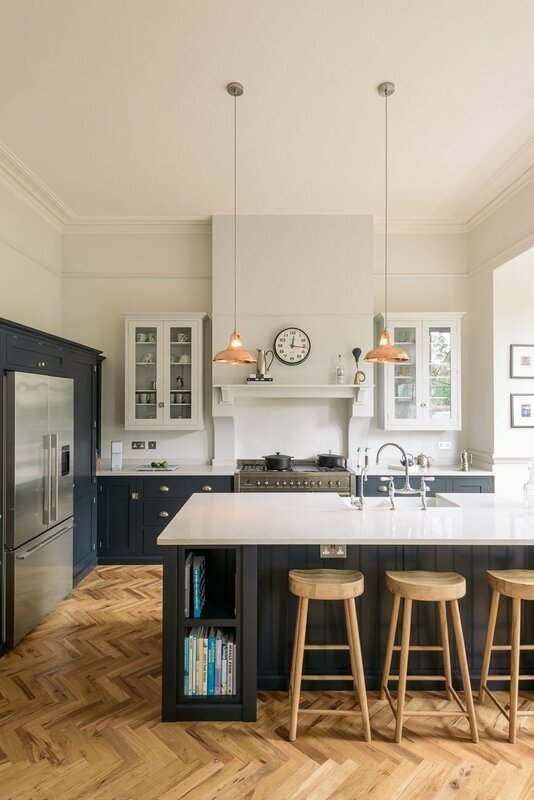 From the classic beige coloured wall, to elegant deep blue cabinets, to the industrial form of our pendants, this medley of trends creates a sophisticated style that is both modern and traditional. The silver-toned appliances work well with our pendants, complementing the copper while coordinating with our brushed nickel ceiling roses. 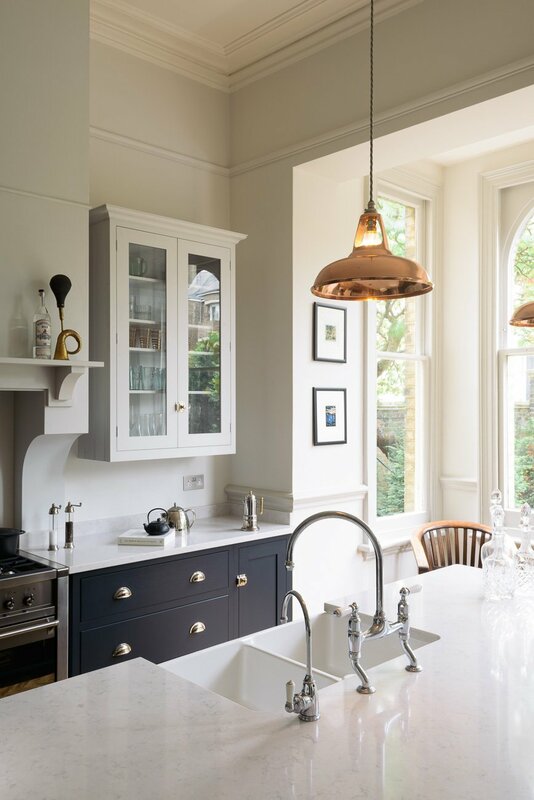 The contrast of dark blue cupboards with light walls and worktops is diffused by our Copper Coolicons. 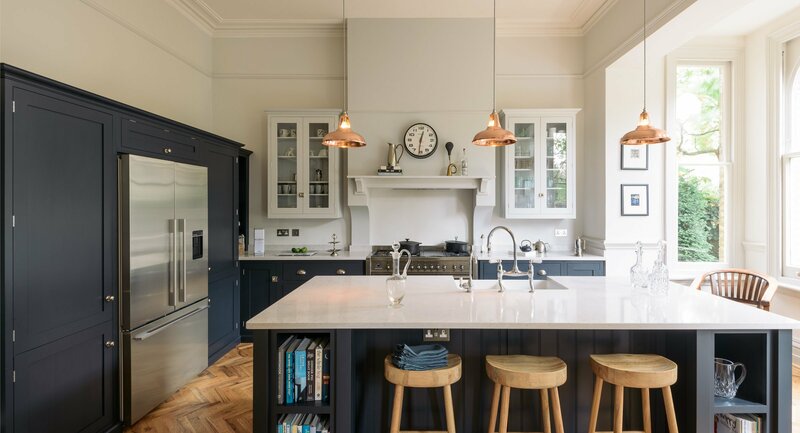 The pendants bring warmth to the space while adding depth to the cool, two-toned colour scheme. 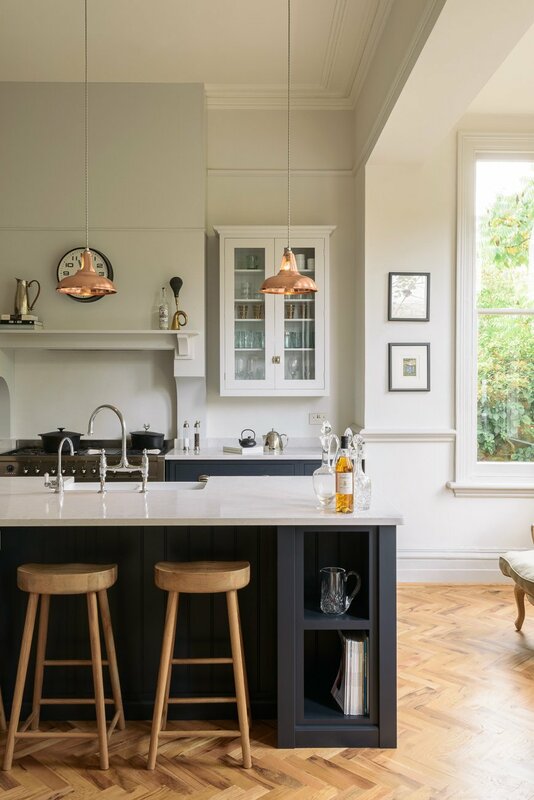 With a long drop from the high ceilings, our pendants offer focused light over the counter, perfect for tasking. They are the ideal combination of style and function in this modern yet timeless interior. 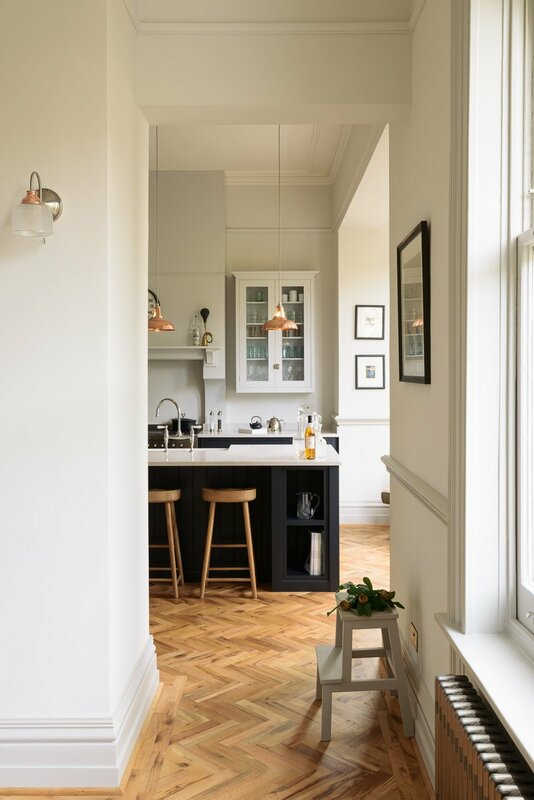 All images courtesy of deVOL Kitchens.